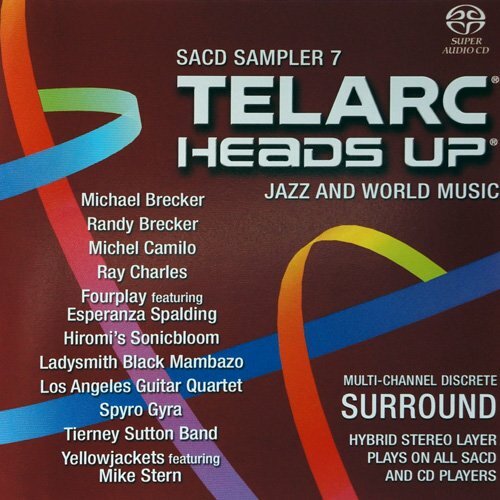 Telarc's seventh SACD multi - genre sampler is a great tool for reaching out to the consumer and providing a selection of jazz, pop, crossover and world music in surround. Continuing in the Telarc and Heads Up tradition, this sampler is hybrid - playable on standard CD players as well as SACD players. 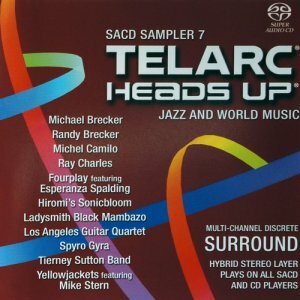 This sampler features music from several of the more popular Telarc and Heads Up SACD releases of the past several years. The sampler kicks off with the big band sound, in a really big way, as Randy Brecker is joined by his late brother Michael on the "Some Skunk Funk." Other offerings include soul legend Ray Charles singing the classic "Oh What a Beautiful Morning," and hot new bassist Esperanza Spalding with Fourplay on "Prelude for Lovers," and much more.